Do I need a co-borrower on a car loan? If you plan on co-owning a vehicle, or you’d like to maximize your chances of approval and a larger loan amount, applying for a car loan with a co-borrower could be the right option for you. A co-borrower is an equal partner in the car-buying process who has access to the benefits of car ownership as well sharing in its responsibilities. With a joint auto loan, the details of both parties are included on the application form and the car title, both are responsible for repaying the loan, and each has the same rights to the use and ownership of the vehicle. So how does a co-applicant for a car loan actually help your application? Increasing the available income to repay the potential loan, and to improve the debt to income ratio, is often a major factor. Lenders will take a range of criteria into account, and co-borrowing with someone who has a good credit score may also strengthen your position. An auto loan cosigner is different than a co-borrower. The cosigner commits to making payments, and even repaying the full loan amount, if the primary borrower fails to do so, but has no ownership rights on the vehicle. They’re liable for the risk, but don’t have a stake in the benefits. A cosigner is often a parent, close family member of friend. Depending on your situation, this approach could also help. 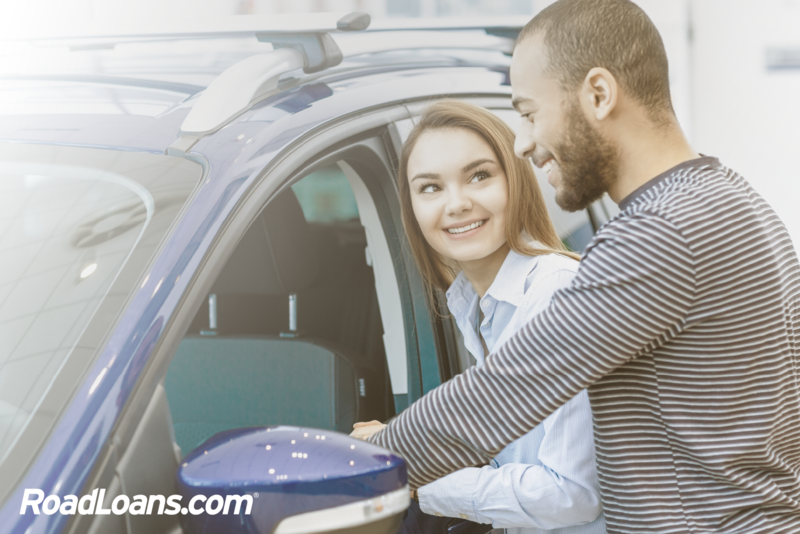 A consumer with bad credit* who doesn’t want to share ownership of a vehicle, for example, may boost their chances of approval by adding a creditworthy cosigner to the application. Where can I apply with a co-borrower? Many lenders accept applications for car loans with co-borrowers. Shop around, make sure the prospective lender is a company you want to do business with, and apply. RoadLoans, the direct-lending platform of Santander Consumer USA, offers a secure, one-page application in which you can add a co-applicant, and it takes just a few minutes to complete. You’ll receive an instant decision and, if approved, multiple offers customized to your needs. Download your loan documents and visit the preferred dealership listed inside, or use our dealer locator to find another option within our network of 14,000 trusted auto dealerships nationwide. If you’ve been declined for an auto loan, were not approved for the loan amount you were seeking, or you’re looking to better the odds of approval with the best possible terms first time around, a co-borrower may help. In other situations, as with a couple, it may simply make the most sense to get a joint loan. Learn more about financing with RoadLoans. * “Bad” or “Poor” credit generally is considered a FICO score around 600 and below by sources including the Consumer Federation of America and National Credit Reporting Association (reported by the Associated Press), Bankrate.com, Credit.com, Investopedia, NerdWallet.com and others. The Congressional Budget Office identifies a FICO score of 620 as the “cutoff” for prime loans. FICO scores are not the sole factor in lending decisions by RoadLoans.com and Santander Consumer USA.